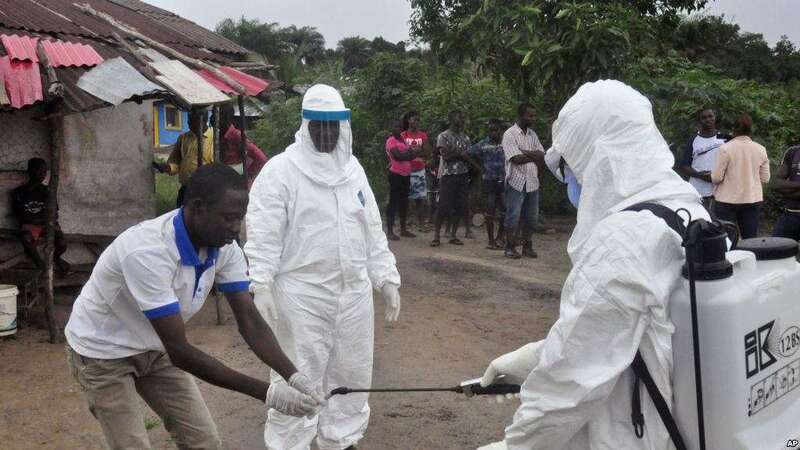 The Ministry of Health says that Uganda is on an Ebola alert following an outbreak of the disease in the eastern Democratic Republic of Congo (DRC). The Ministry also allayed fears that there is already an outbreak of Ebola in Uganda as reported in the media. The State Minister for Health in charge of Primary Healthcare, Joyce Moriku told a sitting of Parliament on Tuesday, 13 November 2018 that there were no reported cases of Ebola in Uganda. “As of today, there has not been any confirmed cases of the Ebola viral disease in Uganda” adding that, “the Ministry of Health is on alert to manage any identified suspects”. Moriku assured Parliament that the country is well prepared to detect and prevent any cases of Ebola. “An assessment of all the border districts with DRC has been done to determine which areas are at high, moderate and low risk,” she said. Moriku added that the Ministry had taken preventive measures such as screening all people entering Uganda at border points in the high risk districts, active case search in the community and health facilities in all high risk districts and isolating and picking blood samples of suspected ebola cases. Parliament also learnt that Ebola treatment centres have been established at Bwera, Bundibugyo, Fort Portal and Ntoroko Hospitals to handle any cases that may arise. Moriku called upon the public not to cause panic over media reports about the disease outbreak in the country. “I want to caution social media users not to scare the public with Ebola outbreak reports unless they have received factual information from Ministry of Health,” Moriku said. Hon Chris Baryomunsi (NRM, Kinkizi County East) said that the country has stocks of Ebola vaccines, which he said have been proven efficient by World Health Organisation having been tried on many volunteers worldwide. Legislators, however, noted that only a few border points have shown preparedness calling for a wider assessment. “We want you to cover all border points; for example, Kisoro district receives a number of migrants from DRC but it is not included in the areas you have assessed,” said Hon Elizabeth Karungi (NRM, Kanungu ). MPs further observed that the Health Ministry has not financially prepared for the outbreak. Alex Byarugaba (NRM, Insingiro County South) noted that, “two scanners will be installed in Kasese and Bundibugo in the next two weeks. This is a long time in case of an emergency. If you don’t have enough money, ask for emergency funds and get scanners for all border points”. Hon Janepher Mbabazi (NRM, Kagadi) called for increased mass sensitization of the public on the dangers of the disease and how it can be prevented. “When you go to health centres in my district, there is nothing that talks about Ebola, not even charts. Let the Ministry go ahead and translate messages on Ebola into local languages and distribute them widely even in churches, ” she said. The districts identified to be at a risk of Ebola are Ntoroko, Kasese, Kabarole, Bundibugyo, Bunyangabu, Kanungu, Kisoro, Rukungiri, Rubirizi, and Kikuube. The others are Hoima, Arua, Maracha, Nebbi, Zombo, Yumbe, Moyo, Adjumani, Koboko, Lamwo, Kabale, Kamwenge, Kyegegwa, Kyenjojo, Isingiro, Buliisa, Kagadi, Pakwach, Kampala and Wakiso.